What Does a Tech Entrepreneur Look Like? 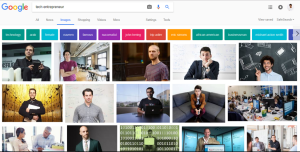 What Does a Tech Entrepreneur Look Like? As with most things in life these days the first “person” I asked was google. The results? Mostly white men. Young African women do not often get to see themselves represented in the tech space and therefore lack visible role models. It’s difficult to aspire to what you cannot see. This is the problem that our Founding Women book aims to address. We live in a world today where technology is an integral part of our daily lives and is disrupting how even the most basic services such as education and healthcare are delivered. Technology is providing a tool to solve everyday challenges. And the myriad of challenges that technology is being used to solve is as diverse as the people whose needs these solutions aim to address. You cannot solve a problem you do not understand. So why should the support to create these solutions be limited to a specific group of people? The fact that only 2.19% of global venture capital goes to women-led startups, and only 0.1% of that goes to startups led by black female founders, show how dire the situation in the global tech space is. Technology in Africa has seen exponential growth over the last decade driven in part by the rapid adoption of mobile. Technology is proving to be a key driver of development particularly due to the fact that it is providing a tool for African entrepreneurs to create their own solutions. Unfortunately, even within the rising African tech ecosystem, a similar pattern to that in the global ecosystem is emerging. 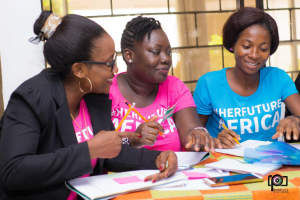 According to Venture Capital for Africa, less than 10% of the over 6500 African tech startups registered on their platform are led by women. The fact that African women are often disproportionately affected by the challenges on the continent, means that they are well placed to understand the needs. This is an untapped opportunity. If technology is to truly fulfil its potential as a catalyst for development and growth in Africa, then women must be included at the forefront of developing the solutions. To address this, earlier this year we launched #HerFutureAfrica, our entrepreneurship skills accelerator for African female entrepreneurs. 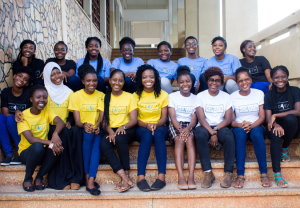 To date we have supported 32 young women in Ghana to launch their high-impact technology-enabled businesses. One of them was 26 year old Ivy Barley, who joined our programme with just a rough idea and her passion for teaching others to code. We helped her carry out market research to refine her idea, develop her business proposal and pitch deck and connected her to a mentor. Just a few months down the road, she has won multiple awards, pitched in front Angela Merkel and won €15,000 to launch her venture Developers in Vogue which is now training 20 young women in Ghana to code. As we concluded the first #HerFutureAfrica programme, I remember thinking that if there was one thing I hoped these brilliant and driven young women would take away, it would be the confidence to achieve the success they aspire to. The knowledge that they do have what it takes to build world class technology businesses. This led me to think about the importance of role models – seeing people like me achieve things I myself aspired to has spurred me on many times on my entrepreneurship journey. This desire to highlight role models for young aspiring female entrepreneurs in Africa, has culminated in our Founding Women book project. Founding Women is a book that will spotlight African Female founders who are building technology businesses across Africa and the diaspora. I am interviewing inspirational founders such as Rebecca Enonchong, CEO of AppsTech (Forbes 10 Female Tech Founders To Watch In Africa) and Hilda Moraa – Founder & CEO of Pezesha (She previously founded Weza Tele, the first African tech startup to successfully exit when it was acquired by Jumo.World in 2015) as well as other established and upcoming founders working in energy, health, software and fintech. Eunice Baguma Ball is the Founder and Executive Director of the Africa Technology Business Network. 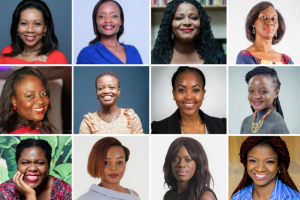 A London-based social enterprise working to support African tech entrepreneurs particularly women, by providing links to skills, mentorship and investment in the UK. Learn more about our work here.